Radical changes are afoot in medicine as we build stronger bridges between science and spirituality. 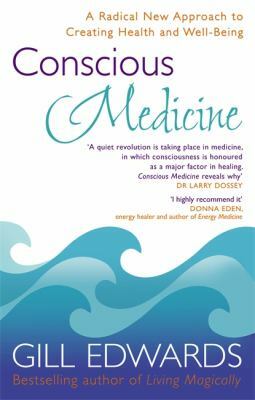 In CONSCIOUS MEDICINE Gill Edwards explains that mind and body are inseparable and that emotions are crucial in health and disease. Her new approach to healthcare is based on the latest research into the transformative power of consciousness, energy and the bodymind. She explains how, when you break your old habits of thought, you can not only reverse disease processes and heal injuries but also attract more positive events and circumstances into your life. Chapters cover Gill's own journey towards health, 'miracles' in health and why our current medical model is limiting, how negative thoughts activate the stress response in the body which eventually makes us ill, how the body speaks to us symbolically through symptoms and illness, how to break free from limiting patterns, and create a new health-full future. 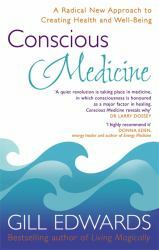 Always thought-provoking and inspiring, this is an accessible, practical and joyous book.